101 Popular Accordion Favorites contains standards that have endured the test of time because of their accessibility and quality. Generations of musicians have enjoyed performing these popular favorites and each selection was carefully chosen from a variety of categories. There is sing-a-longs, holiday, patriotic, inspirational, folk, classical, ragtime and jazz. This massive collection of popular songs is arranged for easy piano by Jay Latulippe and includes lyrics and chord symbols. Jay is best known for his work with accordion students at any age or level. As the celebrated author of â??Santorellaâ? ?s Accordion Courseâ?� he has provided all accordion players a new and exciting approach to learning this forgotten instrument. 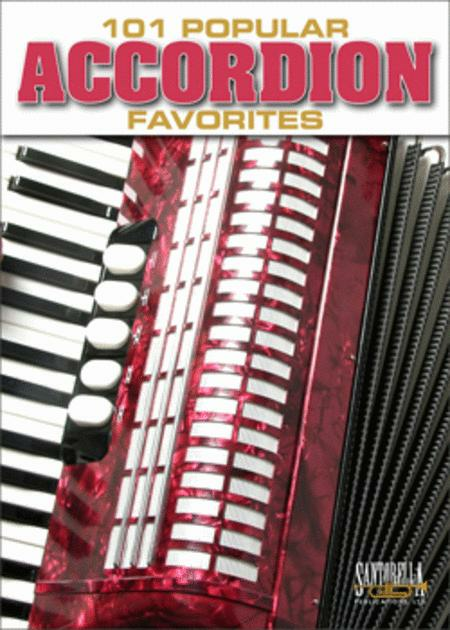 101 Popular Accordion Favorites is a one-of-a kind Santorella Publication and an absolute must for every accordionist at any level.